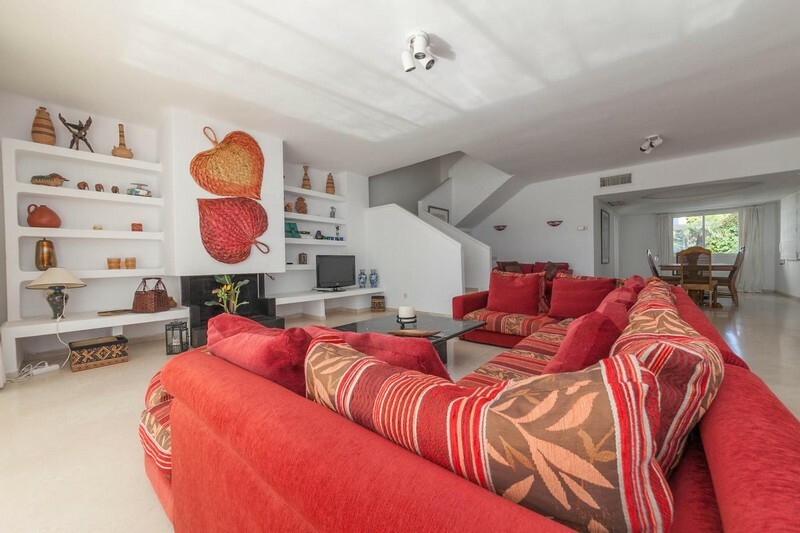 We have just reduced the price of this 3 bedroom, 2 bathroom second floor apartment to 450,000 Euros and it gives you the chance to buy a really lovely home at a sensible price. The layout of the apartment is duplex, i.e. spread over two floors, and it is located on the second floor of the building with lift access from the main entrance and also from the parking garage where a garage parking space is included in the sales price. As with all the Birdie club apartments the property is exceptionally spacious and includes a hallway which is open plan to the large living room which incorporates the sitting area with its open fireplace and also the dining area. 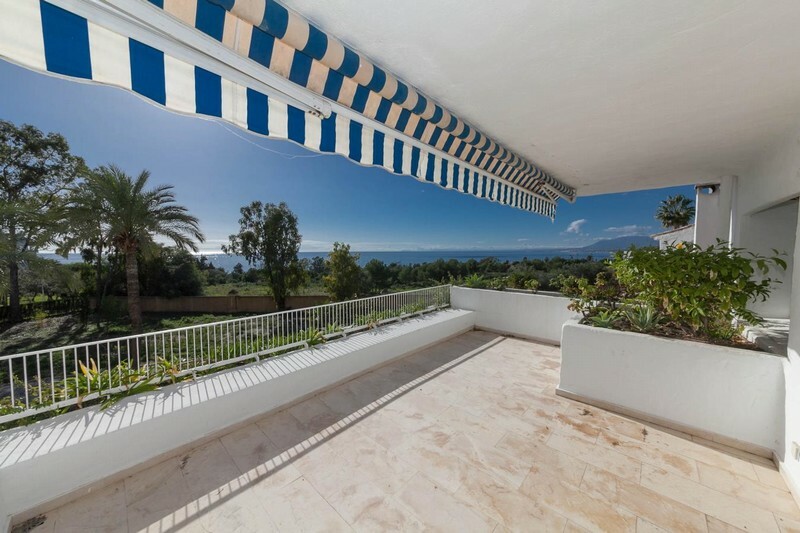 The terrace is large and south facing it is part open and part covered making it great for year round use, the views are towards the sea. There is a good sized fitted kitchen which includes a range of built-in appliances including a washing machine and tumble drier. 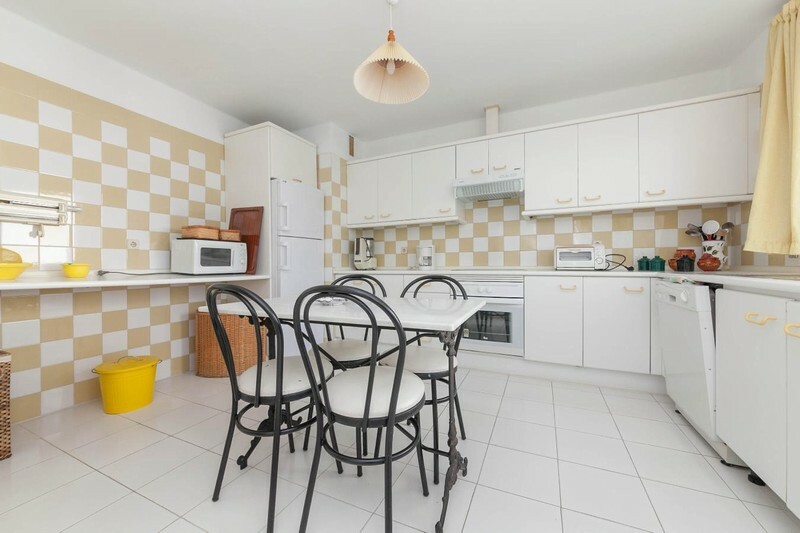 There is also ample space for a breakfast table. All three bedrooms are located on the upper floor. 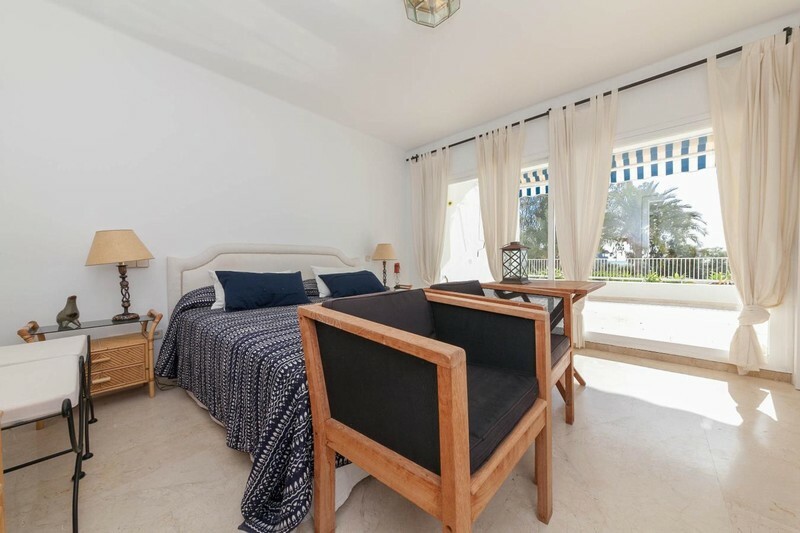 The main bedroom has fitted wardrobes and its own good sized south facing terrace with views towards the sea and an en suite bathroom. The two further bedrooms both have fitted wardrobes and share a terrace and also a bathroom. The apartment is fitted with hot and cold air conditioning, the windows are double glazed and are fitted with sun blinds. There are cream marble floors throughout. The apartment does need a little updating but has the potential to provide a truly fabulous home. 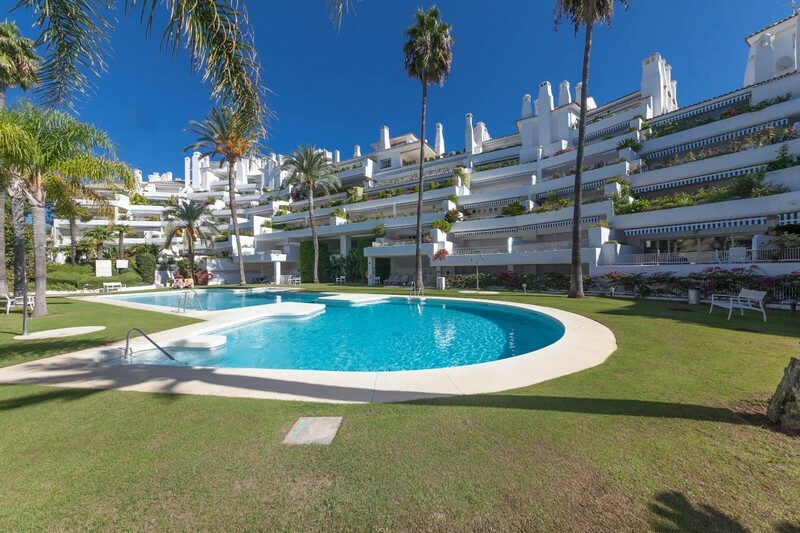 At the reduced price of 450,000 Euros we recommend that you come to have a look at this apartment in Birdie Club, Rio Real Golf Marbella. To arrange an appointment to view all you need do is top call us on (0034) 952 90 52 00 or send us an e-mail to and we will make all the arrangements. Be sure to include your telephone number and we will call you back as soon as possible. Quoting the reference MMM4791M will help us deal with your enquiry with more speed.